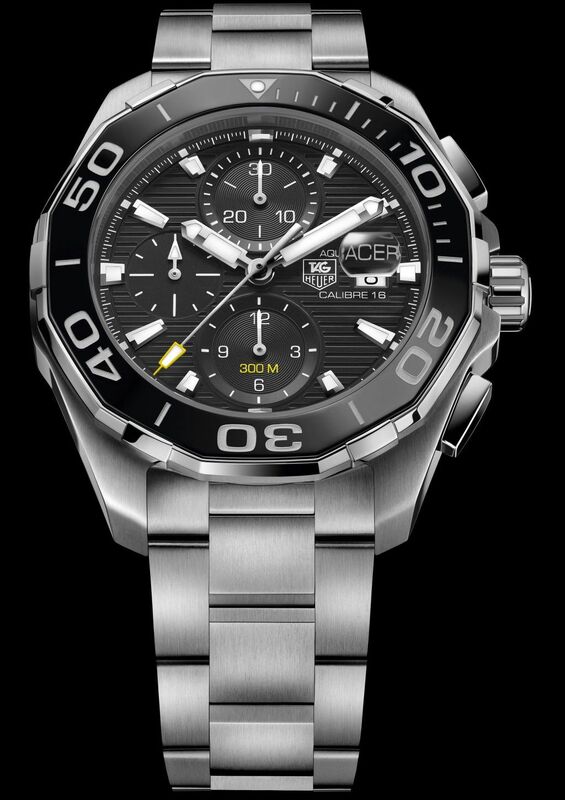 As Official Time keeper and Official Watch of the World Surf League & Big Wave Tour, TAG Heuer introduces a new Aquaracer 300m Ceramic. 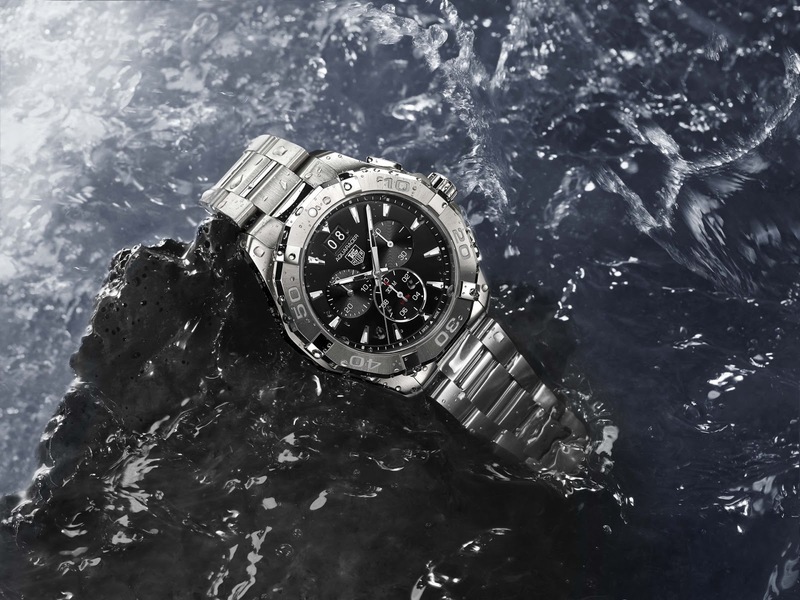 TAG Heuer’s passionate affair with water sports began from its patent of one of the first water-resistant cases for a pocket watch in 1895, the World’s first Chronograph with regatta dial and tide indicator: the Mareograph / Seafarer in 1950, and now with the launch of the new 2015 Aquaracer 300m. The new Aquaracer 300M collection exemplifies the line’s performance qualities more than ever; but also enhances its refined, sporty allure. 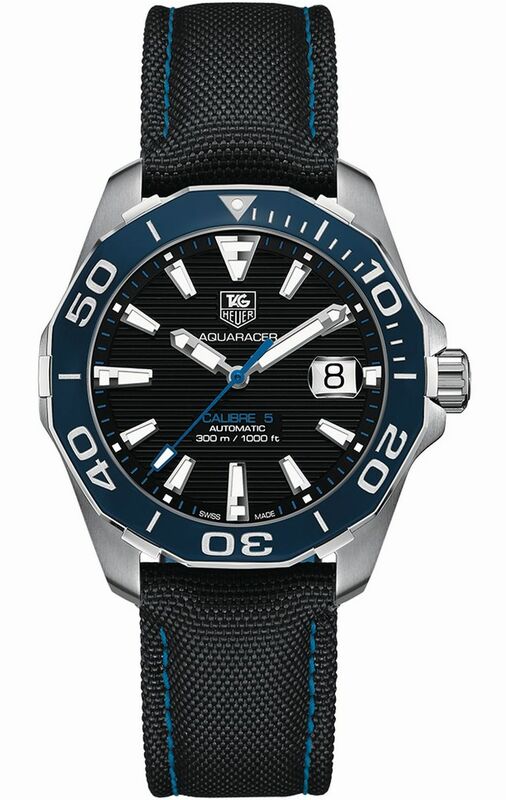 Each timepiece is a great seafarer and diving instrument developed to meet the extreme requirements of professional water-sports, with a 300M water resistant case, a unidirectional rotating bezel with 6 studs for perfect grip, a screw-in crown, unscratchable ceramic dial and highly visible luminescent markers. This casual yet elegant diving watch features a newly designed bezel for a dynamic look. This Unidirectional bezel measures time limits or elapsed dive time. An accidental movement of the bezel could only reduce the indicated time remaining, an essential safety factor for divers. The watch also features six ergonomic studs to easily set it up when wearing gloves and a screw-in crown for more security at depth. The case, bezel and bracelet features high grade finishing. The unscratchable dial with horizontal streak effects offers an avant-garde look. The luminescent markers on indexes and hands provide high legibility. The strap featuring a folding clasp with a double security lock, prevents any accidental opening and with a special diving extension. Water-resistant to 300 meters: strict testing, double gaskets and rigorous, manufacturing standards make of the new Aquaracer a highly reliable watch.